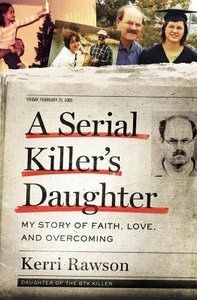 In 2005, Dennis Rader confessed without remorse to the murders of ten people, including two children-acts that destroyed seven families and wrecked countless lives in the process. As the town of Wichita, Kansas, celebrated the end of a thirty-one-year nightmare, another was just beginning for his daughter, Kerri Rawson. About "A Serial Killer's Daughter: My Story of Hope, Love and Overcoming"